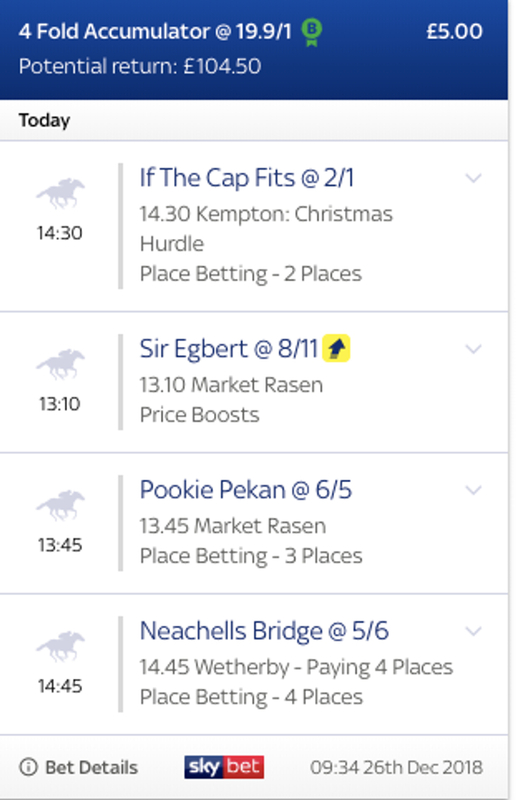 The last horse in the Boxing Day Stats Accumulator comes from Market Rasen in the Class 4 handicap contest over 2 mile 1 furlong and we have gone with Sir Egbert to win. This Tom Lacey trained five year old looks a really smart prospect off the back of his two recent runs and after winning last time out at Newbury he escapes a penalty today. Tom Lacey is having a great time of things at the moment and for the last two weeks has a strike rate of 27 percent and with that when he teams up with todays Jockey they are running at a 20 percent strike rate. The second horse in the Boxing Day Stats Accumulator comes from Market Rasen again in the Class 3 handicap contest over 2 mile 5 furlongs and we have gone with Pookie Pekan to place. This Stuart Coltherd five year old has been in decent form on his last two starts winning and then getting narrowly beat last time out and today is back in trip because of this. Pookie Pekan has had to travel 214 miles to race today which gives a clear indication they think he has a chance and in the horses career he has won 29 percent off his races. 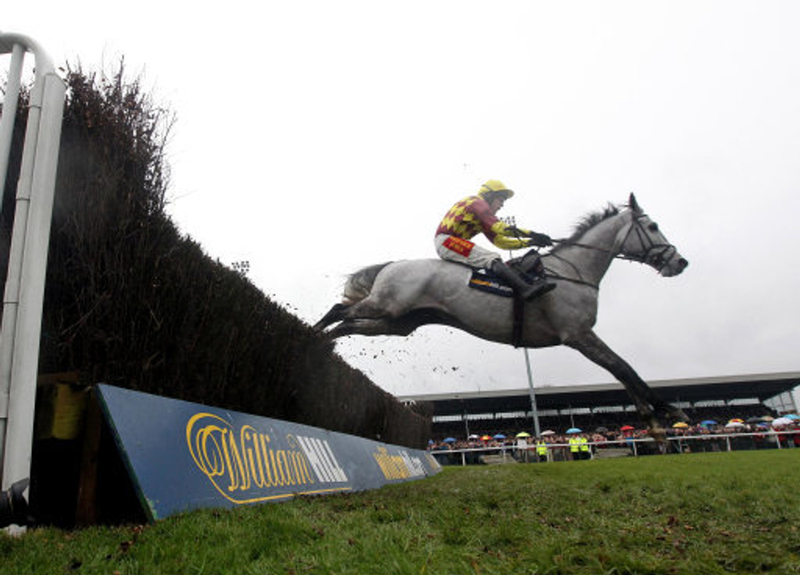 The next horse in the Boxing Day Stats Accumulator comes from Kempton in the Grade 1 Christmas Hurdle contest over 2 mile and we have gone with If The Cap Fits to place. This Harry Fry trained six year old is a very consistent hurdler and since coming back this season looks to have a spring in his step and last time won nicely at Ascot in the Coral Hurdle. His trainer is in great form recently and for the last two weeks is running at a strike rate of 29 percent. This is similar for the jockey in the saddle today Noel Fehily who has a record of 24 percent for the last 14 days. Harry Fry also loves bringing his horses to this track and has a strike rate of 30 percent. The last horse in the Boxing Day Stats Accumulator comes from Wetherby in the Class 3 handicap contest over 2 mile 5 furlong and we have gone with Neachells Bridge to place. This Neil Mulholland trained six year old on his last start got off the mark nicely on handicap debut when winning at Hereford and looks to have a right chance again today. Mulholland has travelled 216 miles with this horse today and when going this far is running at a strike rate of 25 percent. With this, the trainer does not have many runners here but is posing a 50 percent record at this track for the last 12 months.